​Purposeful: Session leaders do their best to be intentional in all of their interactions to "see" and hear the child where they are at to help create a safe place for them to share. We want to engage and listen if they need to talk or simply hold space for the child. Chores: ​Every child and leader pair will complete a 15 minute chore at the beginning of the session. This time is designed to teach the importance of serving others by giving through the work of your own hands. Often this opportunity empowers children in knowing that their efforts can make a difference to those around them. It also enables leaders to better understand each child each day, and gain perspective for the best use of time to follow. 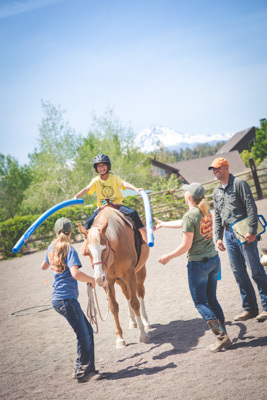 Working with horses: The majority of children who come to Crystal Peaks are drawn to the ranch because of the horses. These kids will learn to correctly handle, groom, ride, round pen and even vet horses during their sessions. 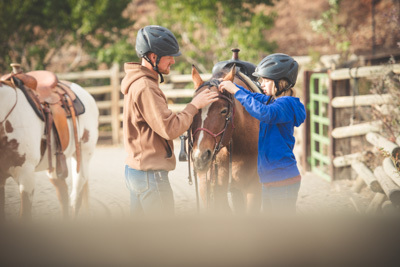 Again, each session depends on the needs of the child and of the horse on any given day. 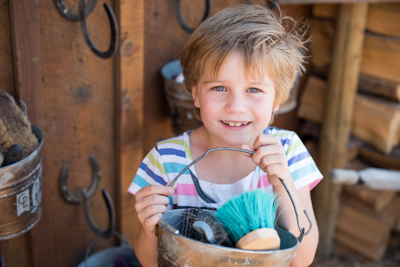 Crafts: For those who do not wish to spend time riding horses, the ranch has assembled some wonderful craft options for a child and leader to use. One option is “horse painting.” The ranch horses are large and gentle and make great canvases for those who do not wish to ride. 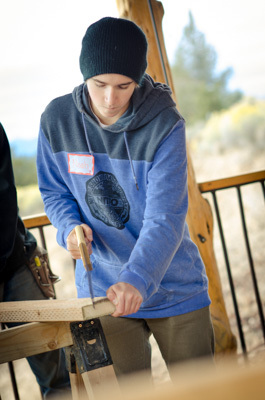 Woodwork: Some of our leaders are skilled in carpentry and woodworking. Many kids enjoy time in the shop creating a birdhouse, a pirate ship or a gift for a parent or loved one. Play: ​There is value in allowing and encouraging kids to be kids by playing. Many children choose to spend their entire session wholly engaged in playing games.